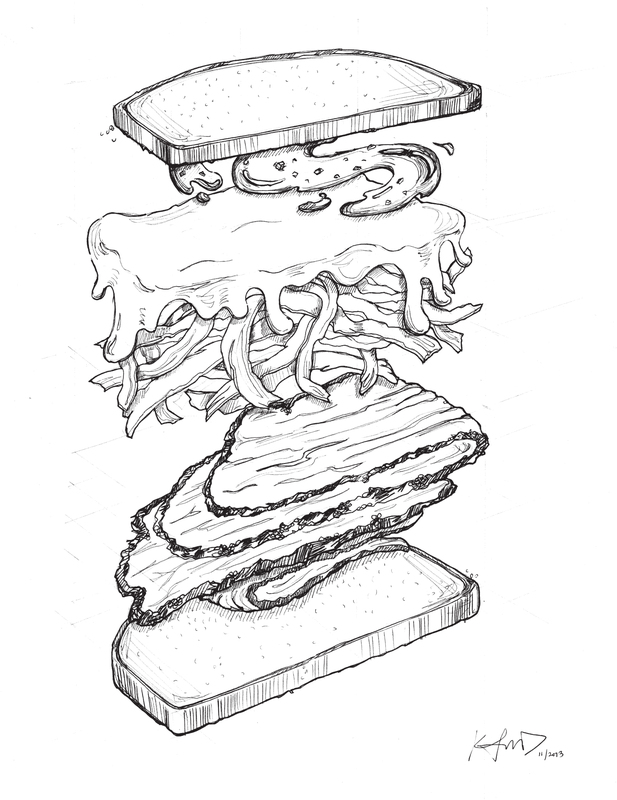 An illustration of a classic Katz Deli reuben sandwich to add to my “Food Bomb” series. It is currently on display at “The Space”, a pop-up art gallery next door to Katz. I was really psyched that Katz wanted to display my work! After all — what is a more perfect venue to show off my sketches of sandwiches? The original illustration and a limited number of prints are available for purchase at The Space.